Cathy has been working in Cambridgeshire schools as a classroom teacher and advisory teacher and trainer since 1994. Over that time she has built a reputation for high quality resources, interesting and engaging teaching and meeting the needs of her audience. Cathy has been enhancing the teaching of history in the classroom since 1997, with historical visits covering British history topics to the 14th century. She currently delivers over 60 history days, working with thousands of children each year. She has also published a teacher resource covering the Viking period. Cathy’s interest in history began as a child. She has very happy memories of play battles in Dover castle and meeting ’Queen Elizabeth I’ at the National Portrait Gallery. These ‘off the page’ experiences gave her the motivation to explore history beyond the dates and delve into the wealth of human experience which has made us who we are today. 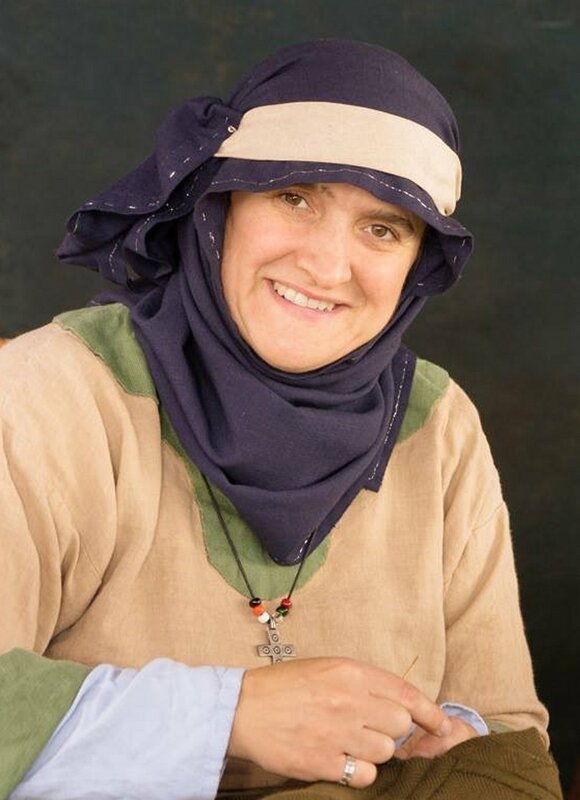 She found an outlet for this enthusiasm in historical re-enactment and has been an active member of The Vikings, Britain’s oldest and largest Early Medieval re-enactment society, since 1991. She is also a member of Tournee, a Medieval re-enactment group, covering the period 1250-1350AD. Through this hobby, Cathy is able to meet many people, young and old, at events around the country and share her passion for history. She has also featured in several TV documentaries and factual programmes for children. Cathy gained her degree from Oxford University in 1993 and trained as a teacher at Homerton College, Cambridge. She currently works part time for the Cambridgeshire PSHE Service as an advisory teacher and school consultant and leads the successful ‘Kick Ash’ programme in 12 Cambridgeshire secondary schools and their partner primary schools. Cathy lives near Ely and her two children attend the local primary school, where she is Chair of Governors.